We promote sustainable mobility. 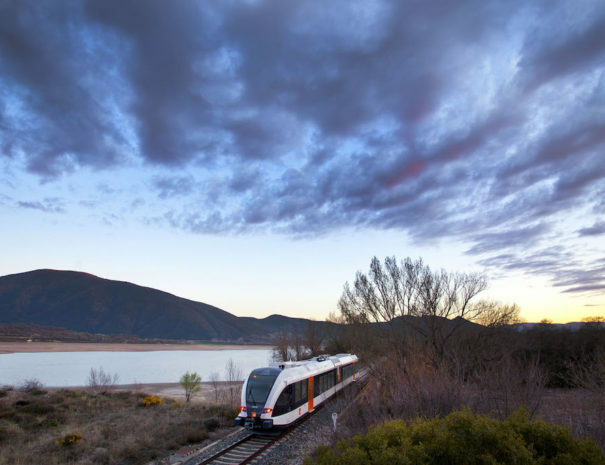 Take the scenic route by train and/or on foot! We promote sustainable mobility (no private cars) by offering ecotourism activities that respect the environment, including transfers by taxi that will help you get to know the local area. To reach our country-house hotel you have the option of travelling to the town of La Pobla de Segur (10 km from the house) by public transport. As a way of promoting emission-free forms of transport, Casa Leonardo offers a 5% discount on the price of its rooms for all those who arrive on foot or horseback, or by bike or public transport. If you want to arrive by public transport, there are two options, bus or train. Check the timetables here. 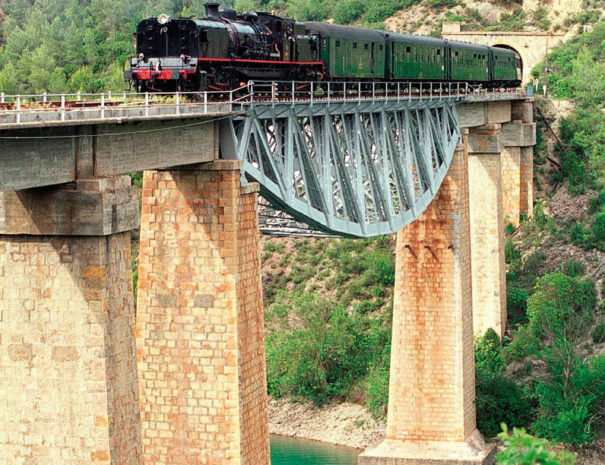 Personally, we recommend the train as the railway line passes through a spectacular landscape of gorges and lakes. The ‘Tren dels Llacs’ is a marvellous way of starting your holiday, which begins as soon as you step aboard. 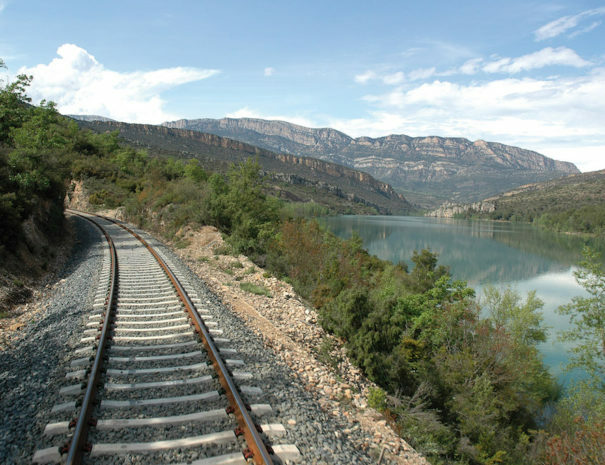 Some of the best ways to see a destination is from the scenic window of a train. 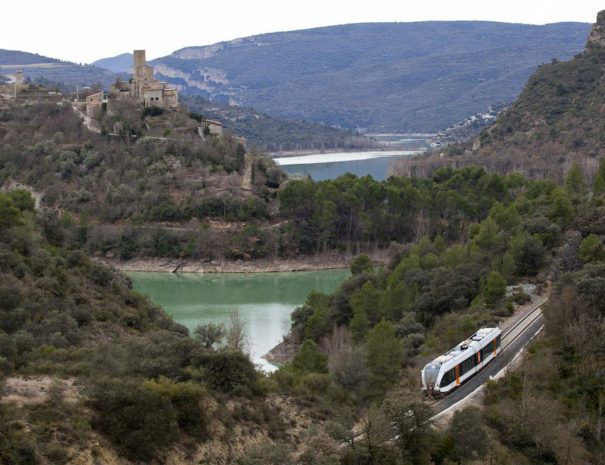 This railway line connects the Pallars Jussà with Lleida, offering spectacular panoramic views and including a total of 41 tunnels and 31 bridges, during a two hour journey. 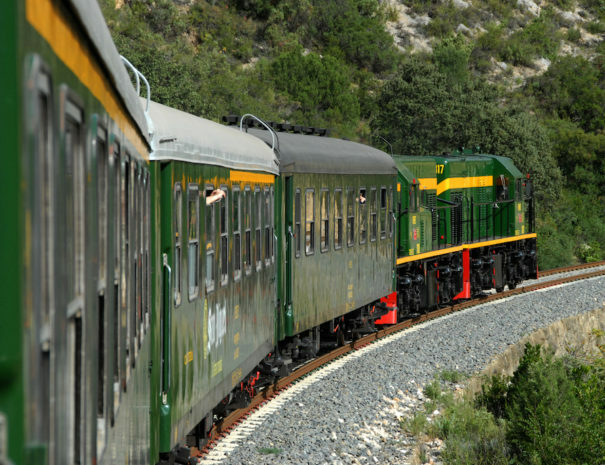 Trains and other forms of public transportation tend have fewer carbon dioxide emissions and can be a great way to see different parts of the world, discovering exciting new places along the way. Your journey may take longer, but it can add to the sense of adventure. Once at Casa Leonardo, you can simply rest and do nothing, or walk for hours and hours. We have designed four routes from the hotel, arranged in a flower-shape, that any relatively active person will cope with easily. They will take you to the beautiful lake of Estany de Montcortès in just a couple of hours, or the dramatic gorge and bridge of Pont del Diable, the hilltop village of Cérvoles, or some of the nearby abandoned villages and standing stones. There are also a vast number of mountain bike trails to be explored. We promote sustainable mobility (no private cars) by offering ecotourism activities that respect the environment, including transfers by taxi that will help you get to know the local area. 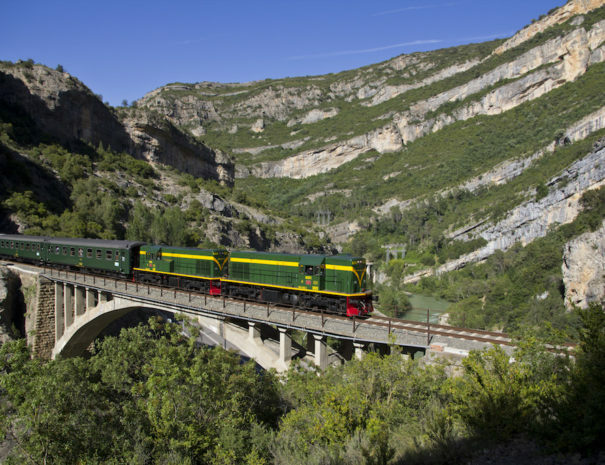 In our country-house hotel, come by public transport and discover the Vall Fosca, Aigüestortes i Sant Maurici National Park and the stunning Romanesque churches of the Vall de Boí and other Pyrenean valleys.